The area between the high Andes Mountains and the Amazon rain forest or Pacific coast rain forest is an area of steep mist-covered hills and valleys that is home to an amazing diversity of flora and fauna, with countless species of orchids, ferns and birds. 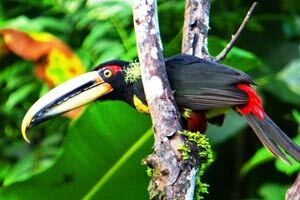 For the dedicated nature-lover and bird-watcher this is an ideal environment to explore, either on a day tour from Quito or by spending a day or more at any of the cloud forest reserves recommended below. This award-winning cloud forest lodge provides an unparalleled opportunity to explore the incredible variety of orchids, birds, ferns and other biodiversity of this unique enviornment . . . 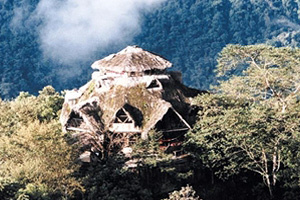 Located about 2 hours from Quito the Fundación Maquipucuna . . .